a Guest we set the max width for 400px.. do you want to increase the max size? I suggest you create new ticket for it www.jomsocial.com/submit-support.. I will handle your issue there.. thank you! we set the max width for 400px.. do you want to increase the max size? I suggest you create new ticket for it https://www.jomsocial.com/submit-support.. I will handle your issue there.. thank you! I am trying to show all activity in one of my groups in a module. As it is, the module is only showing the activity in the group of the user that is viewing it. I want the module to show all activity for that group. Suggestions? You cover photo is spot on... and your slogan, from The Jerk, hilarious! JomSocial v4.2.4 Admin on backend, Member Locations country map (google map) hasn't been loading since v4.2.1 Still works on js_v4.2.1 but now throwing GEO location errors Anybody have ideas as to what can be modified to correct this? Anybody have ideas as to what can be modified to correct this? Anyone else having issues with new user registration emails? The email to user notifying them an admin has approved their account never gets triggered. I've resorted to having Acymail handle the Joomla notifications from JomSocial to get it working but would prefer allowing JS to handle all email notifs so the template styles are consistent. Any thoughts? @[[7187:contact:Sinisa]] I'll message you, thank you. Does the JomSocial module HelloMe (or any other JS modules) utilize or pull assets from 3rd party websites, specifically from domain wp.com or gravatar. 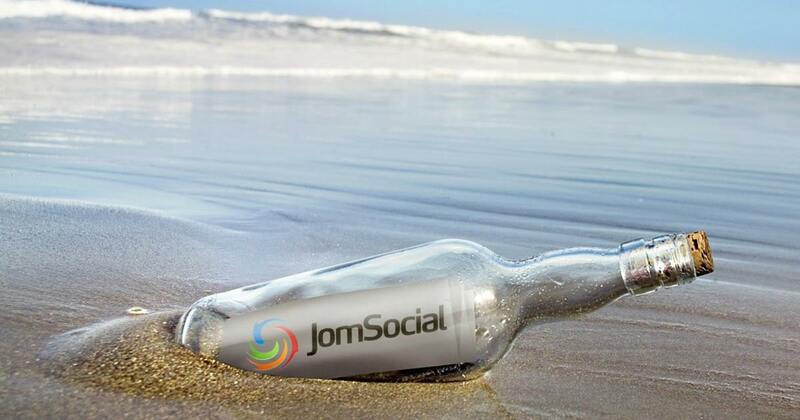 Hi @[[41327:contact:Xristoph Conrad]] At this point, JomSocial modules do not load any external content or resources. How can users add videos via direct upload? Or, if the admin updloads for them, how do users go about adding link / URL to that video? Simply enable video uploads in the backend. Make sure you have FFMPEG installed on the server first. "User Blocked" would make it much more obvious. It took me a few moments to realise what it meant when I first saw it too. Siniša Krišan How about "User Opt-out"
How about "User Opt-out" It is much friendlier to say it like that. I think 'User Blocked' would be confusing, as it implies another user blocked the recipient. 'User Opt-out' is better. Found 2 good reads on "how-to" lock down these pesky public jomsocial pages. You can check Joomla user logging status using the JUser Object of JFactory class. Joomla! • View topic - How to check cookie/session if user is logged in to Joomla? Internetz, community developing, I like to take long walks down dark alleyways, snuggling with pandas, etc. What 3rd party extensions do you use to compliment JomSocial?